Life Water Industries Sdn Bhd produces various types of quality beverages with its most popular product being the K2 17 Stages Purified Drinking Water, every drop of the water source passes through 17 Stages of Water Purification System. Followed by Tritonic Less Sweet Isotonic Drink, 2More Caffeine Free Sparkling Soda, QQ Ais Fruit Flavoured Ice Stick. All of these products are Halal, HACCP, ISO22000, GMP Certified, so as to ensure full compliance with the requirement of government's food safety regulations. These products are now widely distributed in Sabah, Sarawak and exported to Indonesia, Philippines, Myanmar, Brunei and China. Established in April 2002, Life Water Industries Sdn Bhd has reshuffled the operation of all of its seven departments in order to achieve high efficiency. 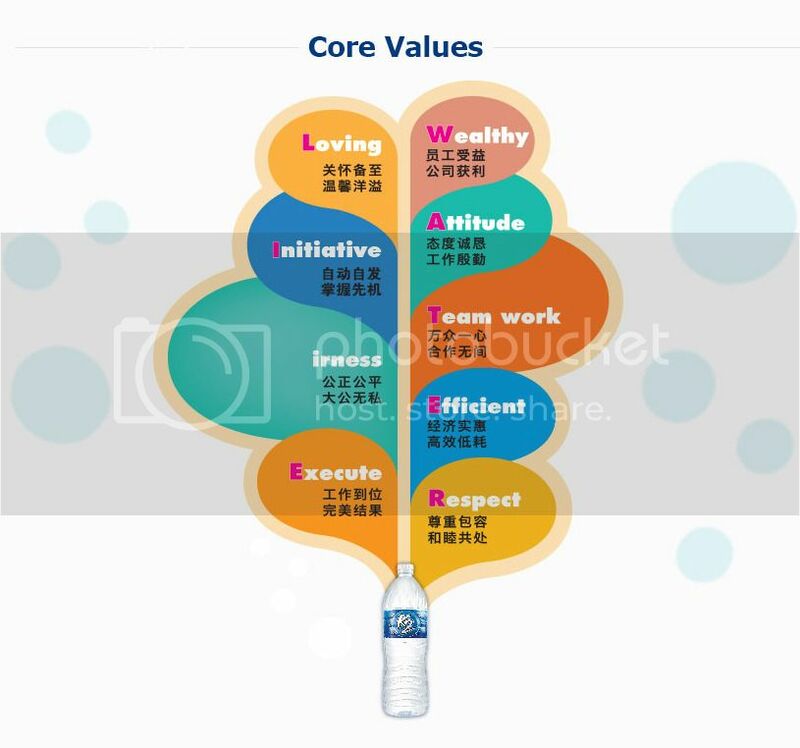 Nine core values ​​and corporate philosophy have also been identified to shape the culture of the corporate and to build up comprehensive and healthy team spirit. On the other hand, Life Water Industries Sdn Bhd also strives to conduct research and development – two of its outcomes are the production of the innovative bottled packaging as well as the incorporation of more local design elements in the products’ labeling. At the same time, the company’s factory is open for visiting by schools and the public, with the hope to help improve their understanding of the water production process and the importance of pure water on the human body. Despite being the local beverage manufacturer with the largest share of the market so far, Life Water Industries Sdn Bhd foresees that penetrating into the international market in a large scale will be its future direction. The next business goal of the company will be enhancing and maximising its production capacity and sales in order to minimise business expenses. Being a pioneer in practicing ethical, sustainable and environmentally friendly manufacturing processes in the drinking water industries, it is no doubt that Life Water Industries Sdn Bhd has outgrown its initial market. Currently it has two branches in Lahad Datu and Kota Kinabalu. The company has also launched a subsidiary called Green Borneo based in Kota Kinabalu which has been appointed as a co-packer represented Coca-Cola Beverages Company to produce drinking water under the Brand name “DASANI”.